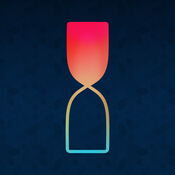 Timeful- This app gets things scheduled so you can get them done. It’s a calendar and to-do list with intelligent assistance to make the most of your time. Bring together meetings, events, to-dos, and even good habits you’re looking to develop. It uses algorithms to suggest the best times to schedule and complete things throughout the day. It learns from your behaviors, adapts to your schedule, and personalizes recommendations the more you use it. This entry was posted in Marketing Tips and tagged app, blog, email marketing, google, Hampton Roads, Marketing, RE/MAX, Real Estate by remaxalliancevb. Bookmark the permalink.